Carrie Noel Richer is a dancer and filmmaker. She graduated from Bates College with a BA in Dance and Anthropology. Richer earned an MFA in Cinema from San Francisco State University and CoFounded Hole Dance Films in 2008. Carrie performed with Contemporary Dance Wyoming under the direction of Babs Case from 2008 – 2015. She has created genre-bending work since 2001 as a choreographer and dancer. She worked as the Director and Filmmaker in Residence at the Jackson Wildlife Film Festival. From 2015 through 2018, Carrie was the Creative Initiatives Coordinator at the Center for the Arts in Jackson, Wyoming where she managed campus art exhibitions, galleries, collaborative projects, enrichment programs, and the nationally recognized Creative in Residence program. Carrie was awarded the 2010 artist fellowship in Film through the Wyoming Arts Council as well as being supported by WAC Individual Professional Development Grants in 2008, 2013 and 2017. Carrie recently moved to Missoula, Montana as the Interim Director of the International Wildlife Film Festival. She looks forward to working with the local artists, dancers, and filmmakers and discovering all that the area offers. Kate W. Kosharek received her BFA in Dance from the University of Wisconsin–Milwaukee in 2005 and currently resides in Jackson, WY where she works at Dancers’ Workshop as a choreographer, teacher, and performer. Through DW’s outreach program, Kate has taught creative movement and dance technique throughout Wyoming. She has performed with Contemporary Dance Wyoming, Wild Space Dance Company, and in works by Heidi Latsky, Zvi Gotheiner, Susan Marshall, Elisa Monte, Alan Sener, Shouze Ma, and Bella Lewitsky. 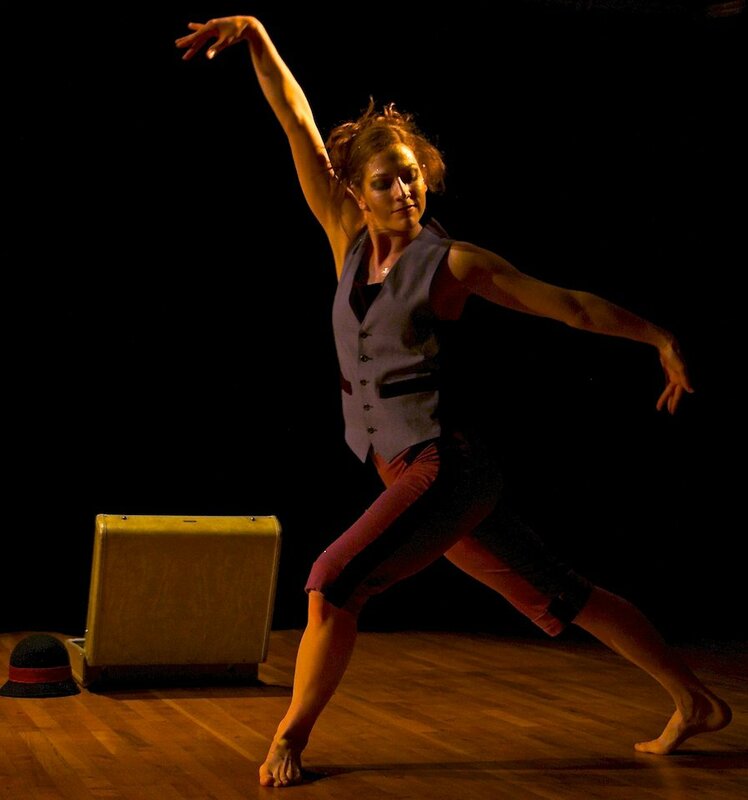 Kate has choreographed many stage productions and has an extensive background in site-specific performance. Intrigued by the collaborative process, Kate has worked with musicians, filmmakers, poets and visual artists in her dance making. In 2008, Kate co-founded Hole Dance Films with Carrie Noel Richer, creating films such as Blue’s not the word…, Winter Migration, and An After Dinner Drink. Hole Dance Films’ work has been screened extensively both in the USA and internationally. She is a spectacular pilates teacher and is certified in MELT. The resumes continue to build. I like the photos which apparently (?) have nothing to do with dance. I love the photos of Carrie and Kate! Beautiful!